A chandelier is not just a lighting element that hangs from the ceiling, no; it is much more than that. It is a special light source that uses many elements of refraction, such as glass or gemstone, and thus produces a sophisticated look with an unusual play of light. Chandeliers adorn not only halls and stately homes. Nowadays, they are often found in upscale private households for representation purposes. Fine Nordic presents a remarkable collection of crystal chandeliers with arms, ceiling chandeliers, luster and chandeliers with prisms. We have a generous selection of exquisite chandeliers with genuine Bohemian crystals from the Czech Republic. 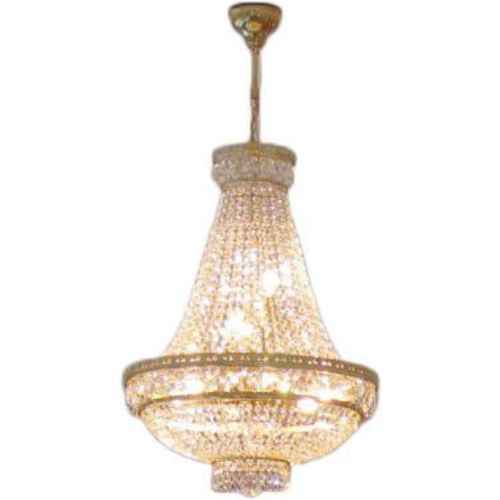 We operate our own import and can therefore offer these exclusive chandeliers at attractive prices. 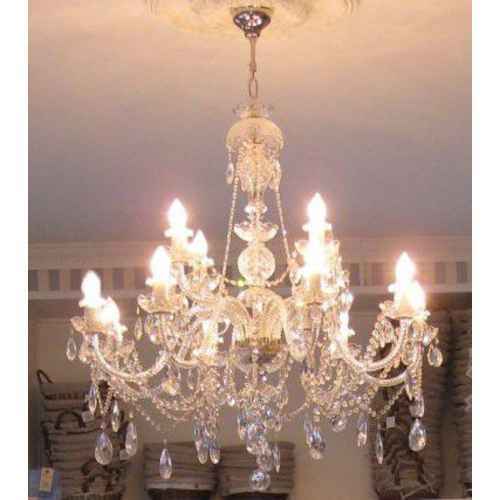 We also have elegant chandeliers by Lene Bjerre and chandeliers by Chic Antique in our assortment. With a large selection like this, we are sure you will find the right chandelier for your home.